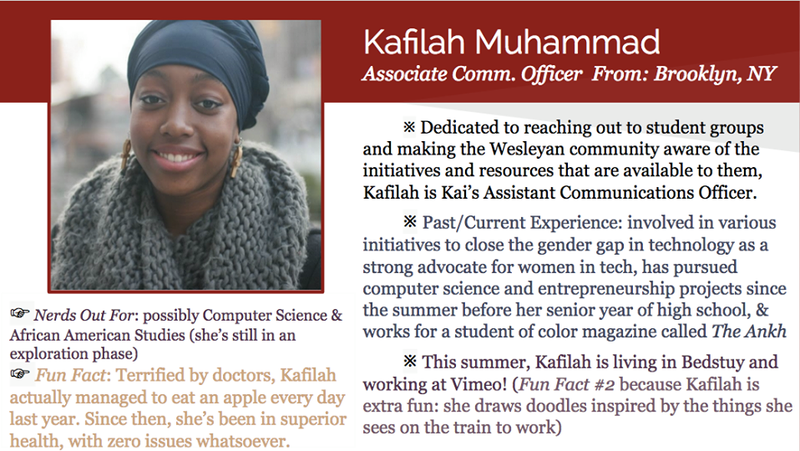 Like many students over the summer, the Kai team took internships in a variety of fields related to their interests. From health care startups to video platforms the team gained valuable experience these past few months. 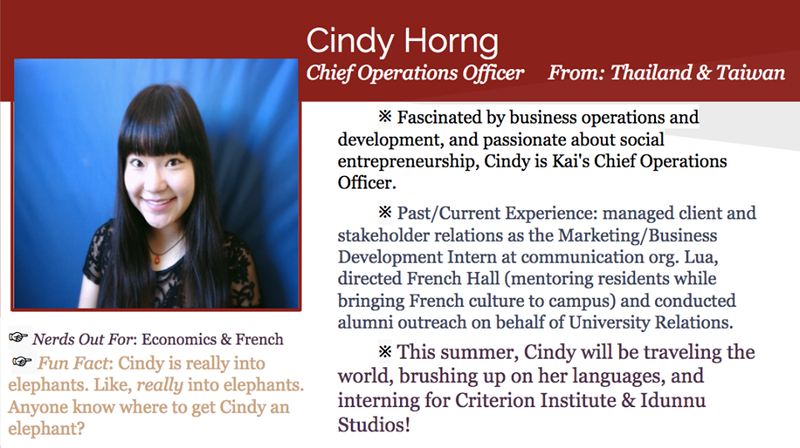 Check the profiles below for the team's bios, fun facts, and internship info! Note: some of the new team members are not pictured above! Check our about us page for their bios.